Boulder City High School’s boys tennis team remains undefeated after picking up victories over Chaparral, Silverado and Mojave. Robert Vendettoli/Boulder City Review Makenna Aboreen helped the Lady Eagles claim their victory of the season Sept. 12, 2018, against Slam Academy. They defeated the Bulls 2-1. The Eagles (12-0) swept Chaparral 18-0 on Sept. 13 and Mojave 12-0 on Monday while getting a 14-4 victory over 4A Silverado on Sept. 14. Against Chaparral, junior singles players Breton Erlanger and Connor Mikkelson each finished 2-0, as did the duos of juniors Preston Jorgensen and Boen Huxford, senior Karson Bailey and junior Ty Pendleton and senior Leaf Kaboli and junior Philipp Zengl. A 3-0 singles performance from junior Braden Soileau and a 3-0 doubles performance from Jorgensen and Huxford led the Eagles’ effort against Silverado. Erlanger finished 2-0 on the day, and so did the duo of Bailey and Pendleton. The Eagles will host rival Moapa Valley on Monday before traveling to Sunrise Mountain on Wednesday. Extending their winning streak to 11 games this season, Boulder City High School’s girls tennis team defeated league opponents Chaparral and Mojave and 4A opponent Silverado. Taking what they’ve learned in practice the past few weeks, the Lady Eagles (11-1) cruised past the Cowboys 17-1 on Sept. 13, followed by a 12-0 defeat of Mojave on Monday. In their 14-4 victory Sept. 14 over Silverado, the Lady Eagles gained contributions from the entire roster. The doubles duo of juniors Tegan Pappas and Eugenia Kryshchuk went 3-0 against the Skyhawks, while senior Natalie Bowman and junior Katelyn Fox finished 2-0. In singles play, freshman Reggi Gibbs finished 3-0, while senior Olivia Goodfellow finished 2-0. The Lady Eagles will test their skills against rival Moapa Valley at home Monday before traveling to Sunrise Mountain on Wednesday. Boulder City High School boys soccer is on a roll, winning two games this past week against Slam Academy on Sept. 12 and rival Virgin Valley on Monday. Winning their league opener against the Bulldogs, the Eagles (3-3) rolled to a 4-1 victory on the road behind a pair of goals from sophomores Julian Balmer and Adam Leavitt. Leavitt also provides an assist in the offensive showcase, along with juniors Adam Romanov and Mason Hood. Also rolling to a 3-1 victory over Slam Academy, Romanov scored a pair of goals, while Balmer scored a goal. Leavitt, junior Dayton Smith and senior Christian Long each provided an assist against the Bulls. Looking to end a five-year postseason drought, the Eagles will host Sky Pointe on Monday, followed by a road game Wednesday at Chaparral. Boulder City’s girls soccer team finished 1-1 this past week, picking up a victory over Slam Academy on Sept. 12 while falling to rival Virgin Valley in their league opener Monday. Claiming their first victory of the season, the Lady Eagles (1-3) defeated the Bulls 2-1 on a goal each from junior Makenna Arboreen and sophomore Sophia Legat. Junior Erin Taggard and freshman Quincy Gibson provided assists on the day. 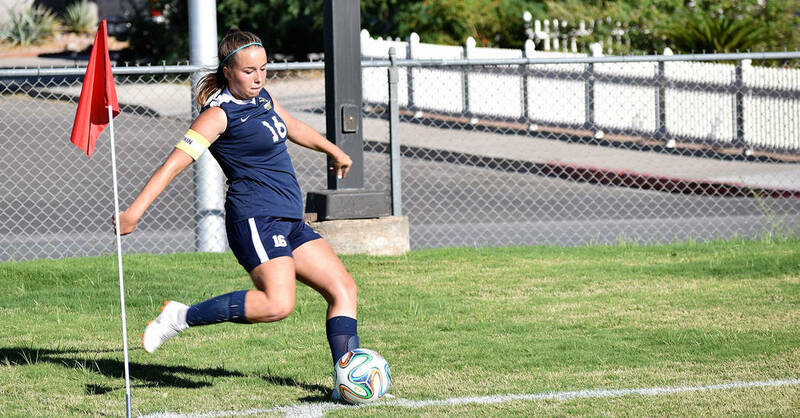 The Lady Eagles hung tough with the Bulldogs, taking a 1-1 tie late into the game before Virgin Valley forward Dani Correa scored a second-half goal to power the Bulldogs to a 2-1 road victory. Junior Madison Manns scored in the second half for the Lady Eagles on an assist from junior Trinity Oeland. The Lady Eagles will travel to Sky Pointe on Monday, followed by a home game against Chaparral on Wednesday. Hosting a league match at Boulder Creek, Boulder City High School’s girls golf team rolled to its second consecutive victory of the season Sept. 12. Shooting a team score of 415, the Lady Eagles defeated runner-up Sunrise Mountain (569) behind four top five finishers. Senior Ryann Reese shot a 83 on the par-72 course, while junior Sydney Krumm finished third with a score of 103. Finishing fourth and fifth, respectively, were junior Makaela Perkins (111) and senior Abby Giunta (118). Sophomores Paige Rudd and Riley Shuman each finished tied for sixth with a score of 119. Ahead of the pack in the 3A Sunrise League, the Lady Eagles will play their next league match today at Coyote Springs Golf Club. Benefiting from home-course advantage, both Boulder City High School cross-country programs finished second at Hemenway Park on Sept. 13. Finishing behind rival Moapa Valley (25 points), the Lady Eagles had an overall team score of 37 points behind a fourth-place finish from junior Audrey Selinger (25:17.97) and a sixth-place finish from freshman Mary Henderson (26:10.44). Running among 31 competitors, sophomore Sophie Dickerman finished 10th with an overall time of 27:29.38, while junior Sarah Oberwise (29:49.39) and senior Alyssa Williams (30:40.19) finished 15th and 16th, respectively. The boys, with an overall team score of 62, finished behind the Pirates (24 points) and just edged out third-place finisher Chaparral (66 points). Running among 49 competitors, sophomores Ethan Porter (22:12.40) and Seth Woodbury (22:15.54) finished 11th and 12th, respectively. Senior Justice Tilman (22:58.14) finished 16th, and freshman Kiefer Reinhart (23:03.76) finished 17th. Senior Noah Calvert (24:25.23), sophomore Sean White (24:30.24) and freshman Travis Wood (24:47.90) finished 26th, 27th and 28th, respectively, for the Eagles. The Eagles will participate in the UNLV Invitational on Saturday, followed by a meet at Moapa Valley on Tuesday. Saturday, Sept. 22, UNLV Invitational, 8 a.m.
Tuesday, Sept. 25, Moapa Valley meet at Moapa Valley, 4:30 p.m.